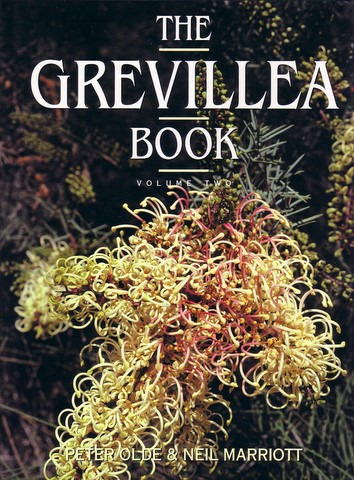 The Grevillea Book - by Olde & Marriott Vol 2|This is the first comprehensive three-volume study of the genus Grevillea. Volume 1 examines the genus from a historical perspective and includes a facinating account of people involved in the collection, classification and cultivation of grevilleas. It has chapters on the structure, evolution and biology of grevilleas, distribution and habitat, cultivation, propagation, pest & disease and landscaping use. Volume 2 and 3 describes over 340 grevilleas in alphabetical order, with one or more colour photos of each grevillea and botanical descriptions and illustrations.